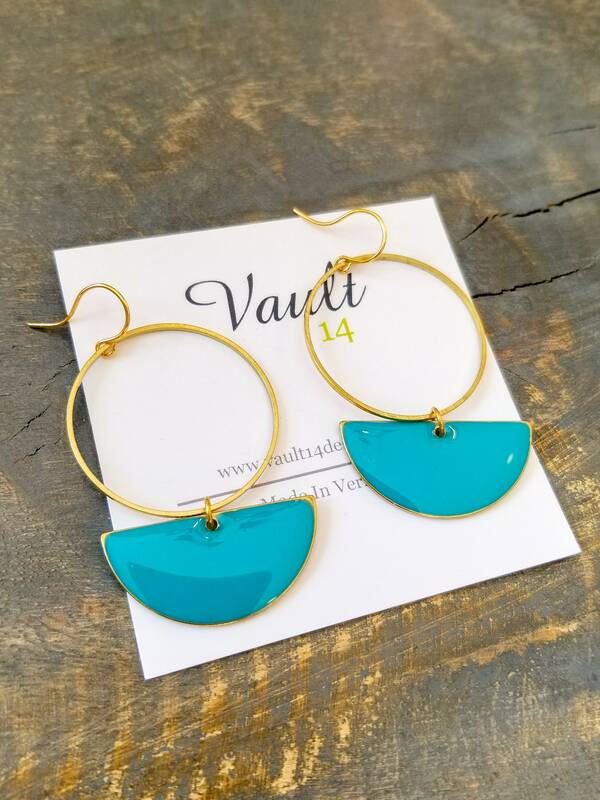 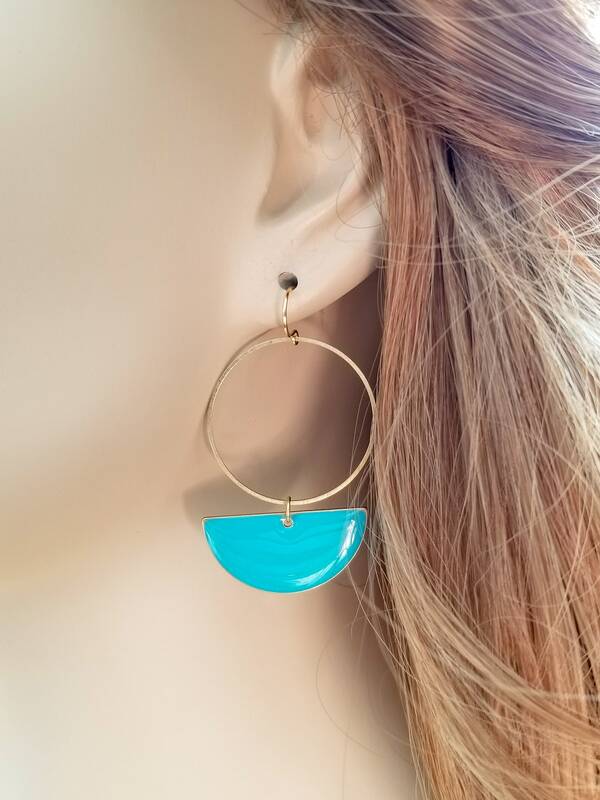 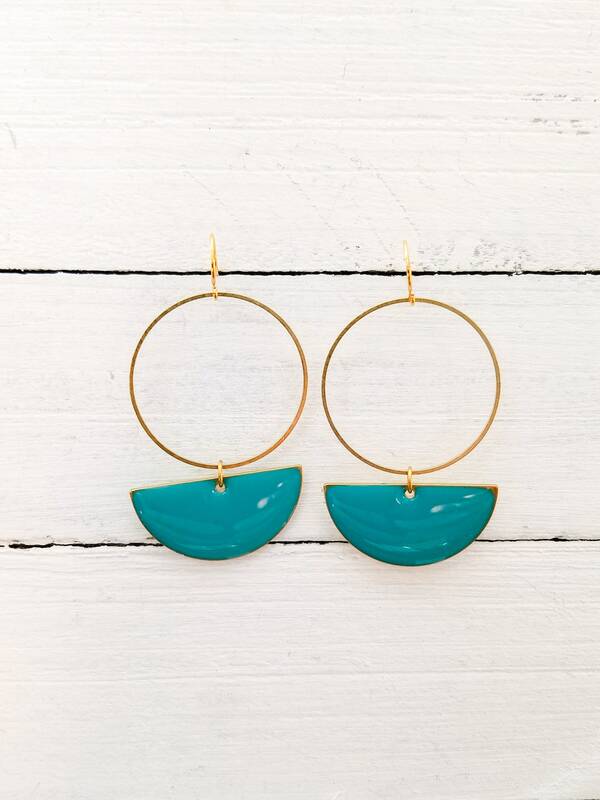 Elegant long raw brass dangles in a bright color! 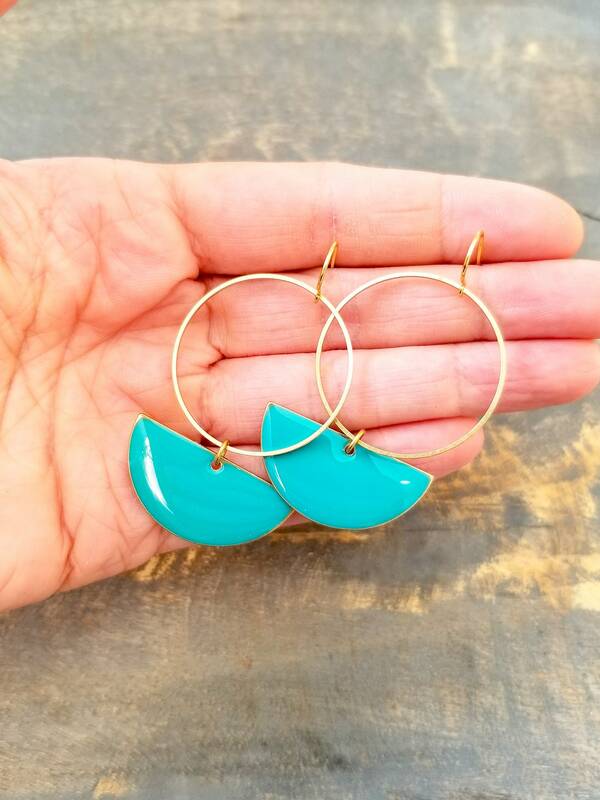 - Raw brass half moon with hand tinted and poured turquoise resin. 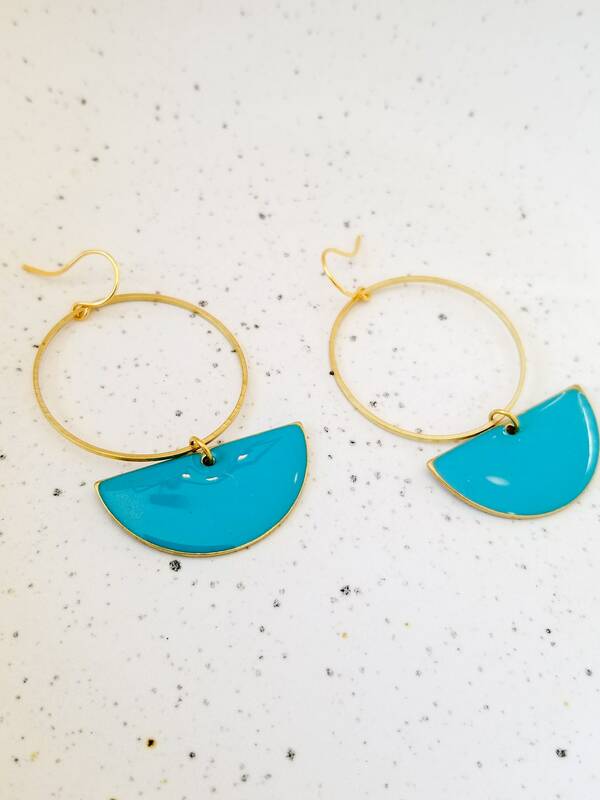 Other color options in separate listings!